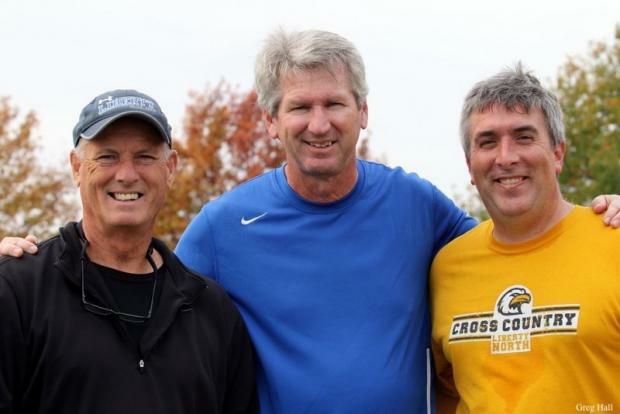 After the untimely death of beloved, long-time Liberty High School cross country and track and field coach Tim Nixon, the Liberty and Liberty North cross country teams will be hosting the first Tim Nixon Invitational in his honor this weekend. This meet will be ran on the Wildflower Cross Country course at Warrior's Best Friend Training Grounds in Liberty. 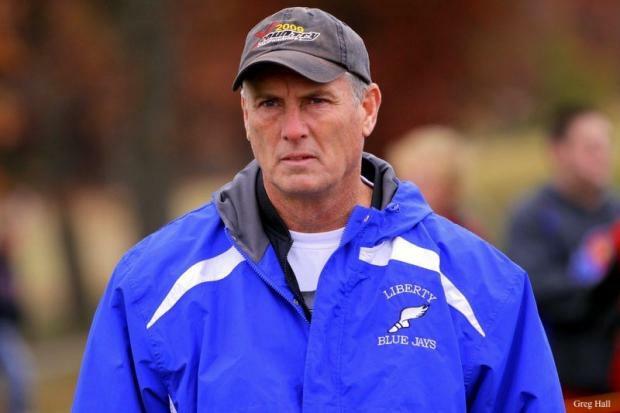 Coach Nixon was a part of the Liberty High School coaching staff from 1979 all the way through to his passing this past November, leading 21 boys teams and 19 girls teams to the state meet in his tenure. He also helped the boys earn 11 top 4 trophies (tied for third most in state history) and helped 6 girls teams earn top 4 trophies. 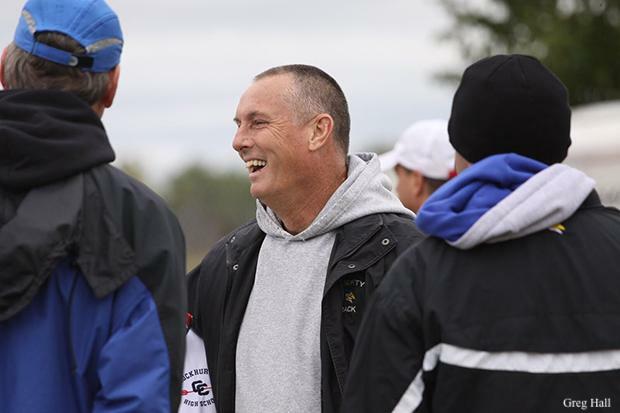 He was three-time state champion - twice with the boys and once with the girls - and was dearly loved as a father, husband, brother, coach, mentor, and friend by too many to count. Saturday's meet will be divided into two divisions, gold and silver, with 11 boys and girls teams in the gold division and 15 girls teams and 13 boys teams in the silver division. 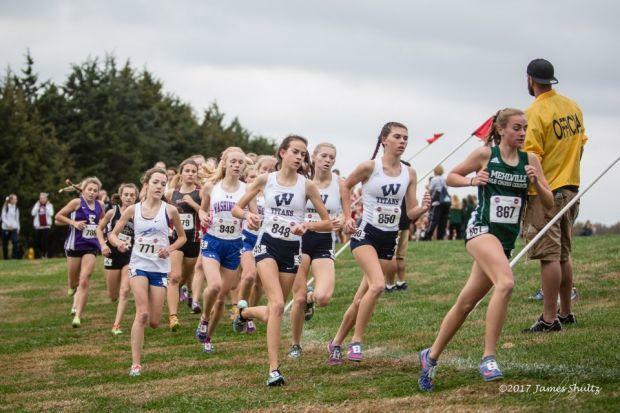 The girls gold race will bring the noise with 5 of the top 16 ranked Class 3 teams in attendance - Lee's Summit West (#2), Liberty North (#5), West Plains (#6), St. Teresa's Academy (#7), and Hickman (#13). Also competing are Blue Springs South, Liberty, Lee's Summit North, Park Hill South, St. Joseph Central, St. Teresa's Academy, and Staley. The individual title will be up in the air as Class 4 #2 Madelynn Hill (Liberty), C4 #3 Madison Hulsey (Lee's Summit West), C4 #7 Kaylee Hatley (West Plains), C4 #10 Elizabeth Stinson (Liberty North). Expect challenges from McKenna Butler (Lee's Summit West), Elizabeth Henderson (Hickman), Madelyn Robinson (Lee's Summit North), Olivia Roth (Park Hill South), and Addie Coppinger (St. Teresa's Academy), among others. On the boys side, all of the same teams will be competing, except Kearney takes the vacant spot left by St. Teresa's lack of a boys squad. It will be a showdown between Class 4 #1 Chandler Gibbens (Hickman) and #6 Caleb Boys (West Plains) for the gold division title. But don't sleep on the Lee's Summit West crew of Jimmy Dietrich, Will Carroll, Mason Gray, and Jake Schlicht as they continue to battle it out to determine their number one. Staley's Jack Warner, Blue Springs South's Dillon Grover, and Liberty's Ryan Mata gunning for the inaugural crown. The team title should be Lee's Summit West's to lose, as they enter as the Class 4 #1 squad in our preseason rankings. Class 4 #9 Liberty and #13 West Plains will be the top contenders to take them down. 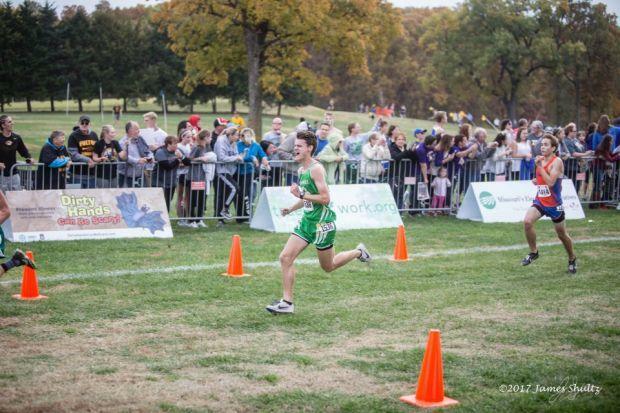 In the silver division, the girls race will feature Class 3 #6 Smithville and include appearances from Excelsior Springs, Fort Osage, Grain Valley, Kearney, Lee's Summit, Notre Dame de Sion, Oak Park, Park Hill, Platte County, Princeton, Raytown, Raytown South, Truman, and William Chrisman. Kearney and Smithville will probably be the top two teams duking it out in this one, but Park Hill, Notre Dame de Sion, and Grain Valley should provide solid challenges for the team title. 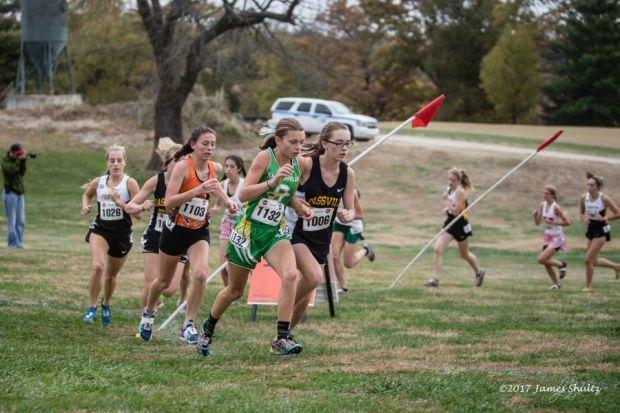 Individually, we will see Class 3 #7 Lillian Cutler (Smithville) return from a successful AAU season and outdoor track campaign to make her cross country debut. She will see challenges from Truman's Stacy Briggs, Grain Valley's Valerie Holcomb (and potentially Mariah Lister if she has recovered from her most recent injury), Notre Dame's Lily Henkle, and Kearney's Jillian Vaughn. The Boys Silver Race will also feature a solid Smithville squad as Class 3 #9 Luke Termorshuizen and his teammate Jonah Palmer lead the ninth ranked Warriors into battle on Warrior's Best Friend. 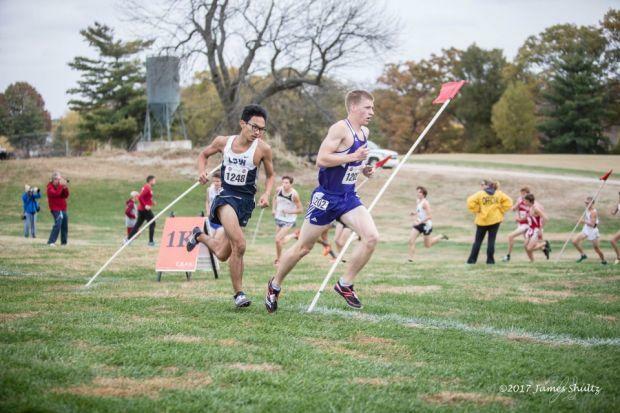 Platte County's Jackson Letcher will be the favorite in this race, but, while battling it out with the Smithville boys, he will have to hold off Michael Rebello (Excelsior Springs), Luke Byrne (Lee's Summit), and Royce Fisher (Grain Valley), among others. MileSplit will be on site this weekend with Cody Thorn and Chris Auckley providing photo and video coverage of this fantastic event. Please join all of the coaches and athletes in honoring Coach Nixon this weekend by partaking in the sport he loved with many of his loved ones. 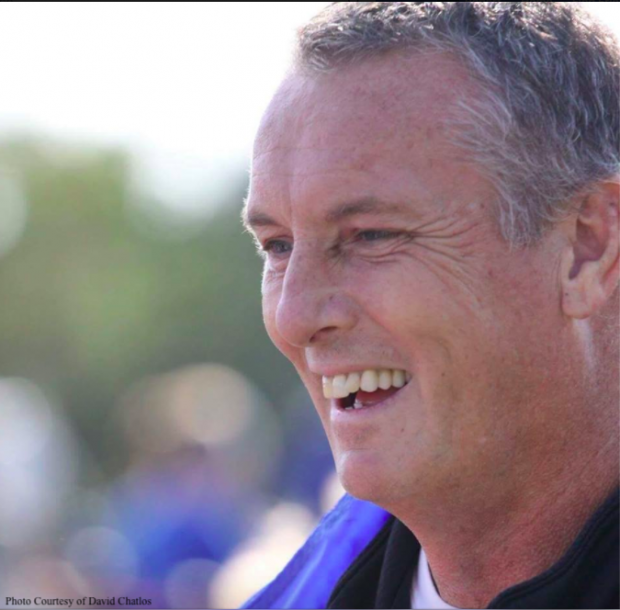 You can find all of the meet info on the meet page and should direct any further questions to Coach David Chatlos at david.chatlos@lps53.org.